UFO SIGHTINGS DAILY: Moon Landing Hoax - Wires Footage Created By NASA, Sept 2015, Video, UFO Sighting News. 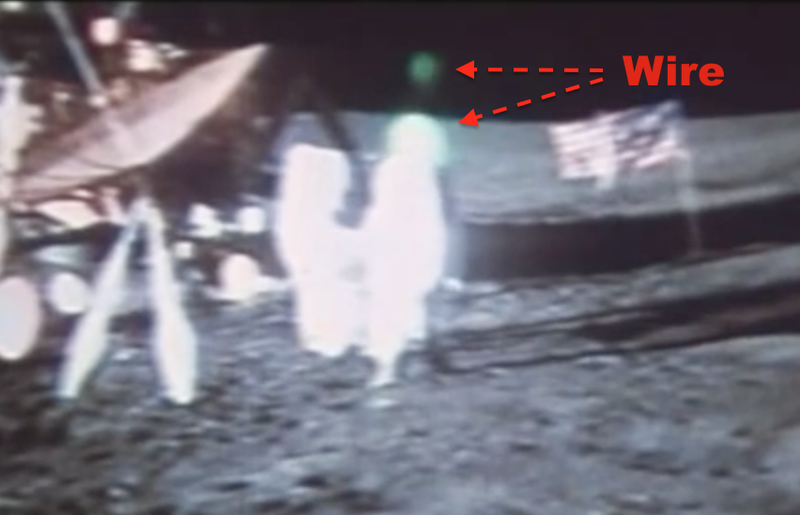 Moon Landing Hoax - Wires Footage Created By NASA, Sept 2015, Video, UFO Sighting News. This is an old video from back in 2006, but most people probably have not seen it. It shows us the parts of the moon landing where there is proof that astronauts had wires holding them during the mission. These wires took caused them to jump to early and also get up to easily. They also shimmered and glowed in some parts of the footage. This is proof that at least some moon walks were faked by NASA. Also that Apollo 17 footage can't be more fake, look at the wall behind the astronauts. WTF were they thinking when they made this? I can't find the original footage of this one. If you can find it, please post the URL here.